Mercantilism was the driving force behind Europe's rapid expansion and rise to power on the global stage. The goal of mercantilism was to increase the wealth of a mother nation by importing as few goods as possible while exporting as much as possible. The theory behind mercantilism was that maximizing gains while reducing expenditures would cause a country's wealth to quickly rise. To achieve those ideals, a number of policies were used, such as building a large number of overseas colonies, hording gold and silver, and monopolizing centers of trade through strategic ports. As previously stated, mercantilism was the driving force for Europe's expansion and colonization. This means that the very idea of mercantilism caused massive changes across the globe. One of the biggest impacts on the world economy was the conquering and settlement of the Americas. Prior to European colonization, the Americas were not connected to the trade network spanning Eurasia and Africa. 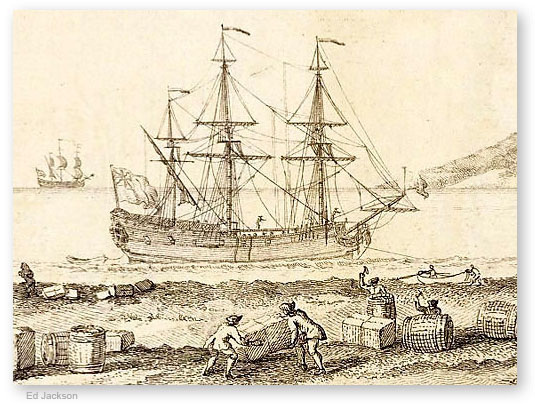 The new settlements and destruction of the natives allowed Europeans to get a hold of many more resources such as sugar cane, potatoes, corn, and one of the most prominent resources, South American silver. That silver was then used to buy goods from China which heavily inflated their economy. The sugar cane that was being grown and refined in the Caribbean helped get the Transatlantic Trade moving, which at the time added riches to Africa, and the discovery of American crops such as corn and potatoes had a heavy hand in increasing Eurasian populations, providing even larger markets for trade to occur in. While mercantilism had no direct cause in changes to the world economy, it is easy to see from the above examples that indirectly, it was the single greatest factor in impacts on the global market because it was what allowed all of the notable instances where massive economic changes took place to occur during this time period. Focusing in on individual countries, mercantilism reinforced and strengthened the economies of Britain and France through their North American colonies, and also Spain and Portugal with their Central and South American colonies in addition to their African port towns. Also of note were the Dutch who had many holdings in the region of the Indian Ocean.